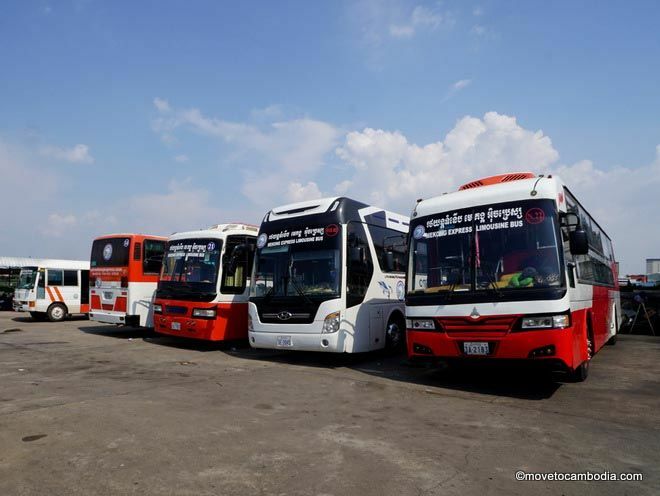 Mekong Express is one of the most long-running and popular bus services in Cambodia, and they have routes all over the country. 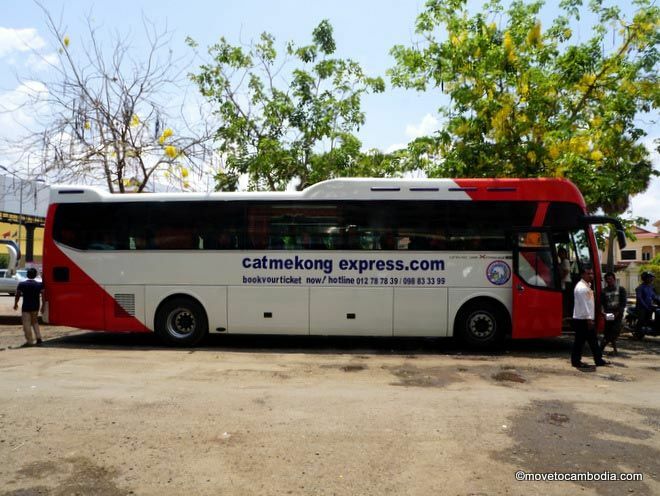 In this post, I’ll review the new Mekong Express buses on their Phnom Penh to Siem Reap route, and give a full rundown of what you can expect. Mekong Express have all new buses. But how do they stack up to the competition in Cambodia? When I moved to Cambodia many years ago, Mekong Express was *the* bus company that all tourists and expats preferred. But then Giant Ibis arrived, with their services aimed squarely at foreigners, and Mekong Express, with their increasingly dilapidated fleet, struggled to compete. So when I saw a brand new Mekong Express bus drive through Siem Reap the other day, I was shocked. What was this gleaming white chariot? Could this really be Mekong Express? 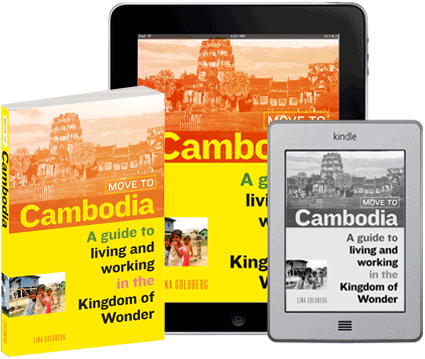 Determined to learn more, I booked a couple of tickets and hit the road to Phnom Penh. 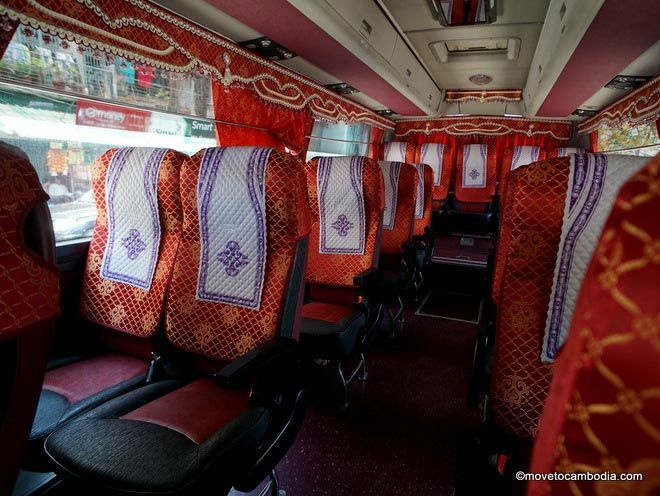 Mekong Express buses: they’re new and they’re gaudy. I booked our tickets online and we got to choose our seats, and luckily there were some empty seats around us so we were able to spread out once on board. After we boarded we were given a wet towelette, a bottle of water, and a box with two small pastries in it. The buses themselves are a noticeable upgrade from their old fleet. I was pleasantly surprised to see that there was a USB charger with two outlets at each set of seats. There was also free WiFi on board with surprisingly decent speeds for most of the journey. Mekong Express has long been known as a bus company that cares about safety, which is one of the reasons they are so popular with tourists. But despite their appeal to tourists and foreigners, Mekong Express is still very much a Cambodian bus company. On my trip we stopped over and over to pick people up off the side of the road for the first hour of the trip. I was also startled to note that despite having put down what I assume to be tens of thousands of dollars on sparkling new buses, they have outfitted them with the same interior as the 30-year-old models, ie. red and gold draperies outfitted with rick-rack. And of course they play action movies for the duration of the trip. Mekong Express is a genuine crossover company that aims to serve both the local and tourist market. The buses do not have toilets (trust me, this is a good thing) but the bus stops twice between Phnom Penh and Siem Reap. Each bus has an English-speaking attendant on board who warns when the bus stops and how much time you have before the bus will leave again. 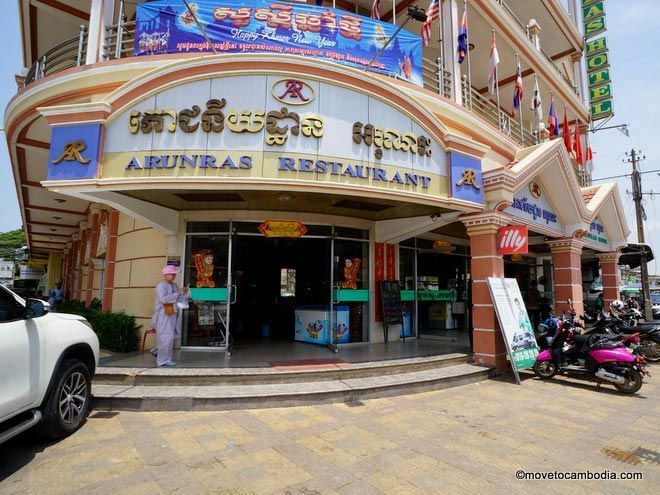 Coming from Siem Reap we stopped after about two hours for lunch in Kampong Thom at the oft-visited Aruneas Hotel, known for their dual-priced menu, but they still let you use the toilet even if you don’t buy anything. Just across the side street is a small outdoor cafe that serves inexpensive Cambodian dishes, where you can eat instead. There was a second stop after another two hours at a mini-mart, coffeeshop, and bathroom complex. We arrived in Phnom Penh after 5 hours and 45 minutes. The bus stops at the Mekong Express bus depot in the north of the city on the riverside at Street 68, where it’s easy to catch a tuk tuk on the street or order a taxi or tuk tuk using PassApp. If you leaving from Siem Reap, the bus stops at the Mekong Express office on Sivatha Blvd near Central Market. Mekong Express buses chillin’ at the depot. 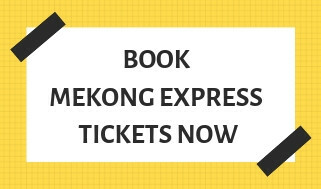 Mekong Express tickets can be booked online for $12. There’s a surcharge of 5%, which ends up being 60 cents per ticket. It’s worth the charge because you can choose your seat online, and book in advance using a credit card. It’s not quite as good as Giant Ibis, but it’s a few dollars cheaper. 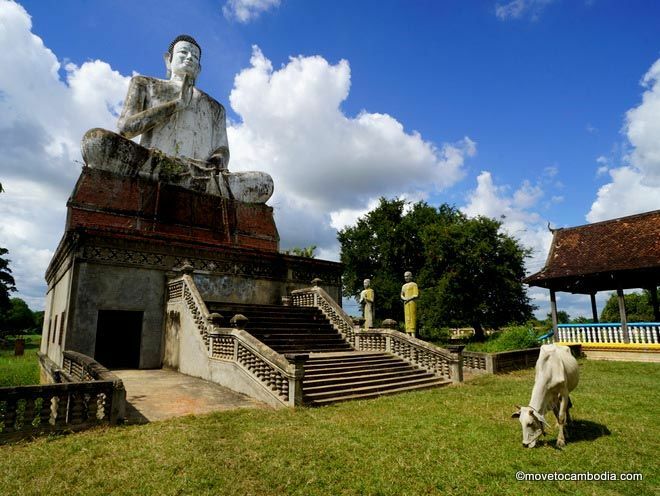 Overall, Mekong Express is one of the better Cambodia bus companies. This entry was posted in Transportation, Phnom Penh, Siem Reap and tagged Mekong Express, Phnom Penh to Siem Reap, Siem Reap to Phnom Penh, bus. Bookmark the permalink. Your stops totaled 4 hours but you arrived in PP after 5 hrs and 45 minutes—is that travel time not including the stops? So was the total travel time 9 hr and 45 minutes or…were you only driving for 1hr and 45 min (obviously that doesn’t work)? Thanks for the clarification. The total travel time was 5 hours and 45 minutes. We left Siem Reap, drove for about 2 hours and stopped for 20 minutes. Then we drove for another 2 hours and stopped for about 20 minutes. Then we drove for another hour and a few minutes. Sometimes the trip is a bit faster or a bit slower, it really depends on how long they stop for. Sorry if that was worded in a way that’s confusing.